Ben Naylor and Katherine (Kat) Lockridge bought Classical Tents and Party Goods in 1995. Classical Tents was established in 1986. Neither Ben nor Kat had any relevant experience. It was like jumping off a cliff with your eyes wide open! After college, Kat had worked as a Ranger in Yellowstone National Park, and Ben as a manager at Stowe Ski area in Vermont. Kat gained some business experience working for a small food producer in Vermont, following her work in Yellowstone. Kat likes being in business not for what most might think is the standard answer: money. It is the psychology of business and marketing that interest and intrigue Kat. Ben is a very independent person who likes to keep active, so the long hours and independence that come with being a business owner suit him well. Weddings and events require a wide selection of service. 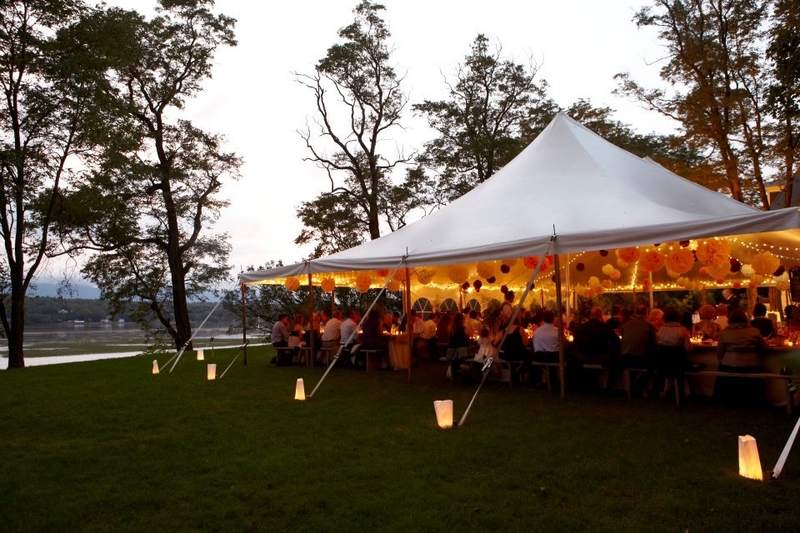 We don't consider Classical Tents to be all about the items that we rent. We consider ourselves to be in a Service industry. We are as good as our last job! Our service starts with a typed quote and computerized floor plan, and then progresses to a site inspection and showroom visit often. A wedding we are doing next month is on their 6th site inspection and showroom visit. That is what it has taken for that customer to accomplish the look that they desire for their wedding. Besides the standard requests to set up and break down chairs and tables for events, our staff can be hired to work an event the day/night of the function, and while on site, they can build small bridges, adjust tent sidewall, help with power issues, and more. Feeding them is a good idea as they work better when fed every 6 hours or so. For our customers who are up in years, our delivery fellows will always set up the chairs and tables if requested or needed. And on our way home from work, if you forgot to order something, we often can drop that item off for you. We are on-call 24/7 during the warm month, April- October. Tents are confusing to customers. For ease of understanding, think of tents like this: there are two types of tents - FRAME tents and POLE tents. Within each of those categories there a variations. There are regular frame tents, and fancy frame tents, And the there are regular pole tents, and fancy pole tents. Regular ( or standard) Pole tents have been around for a very long time! Over time, the design of tents has evolved. Modern tents are stronger than in the past, and more stylish too, with higher peaks and a variety of sidewall and tent styles. 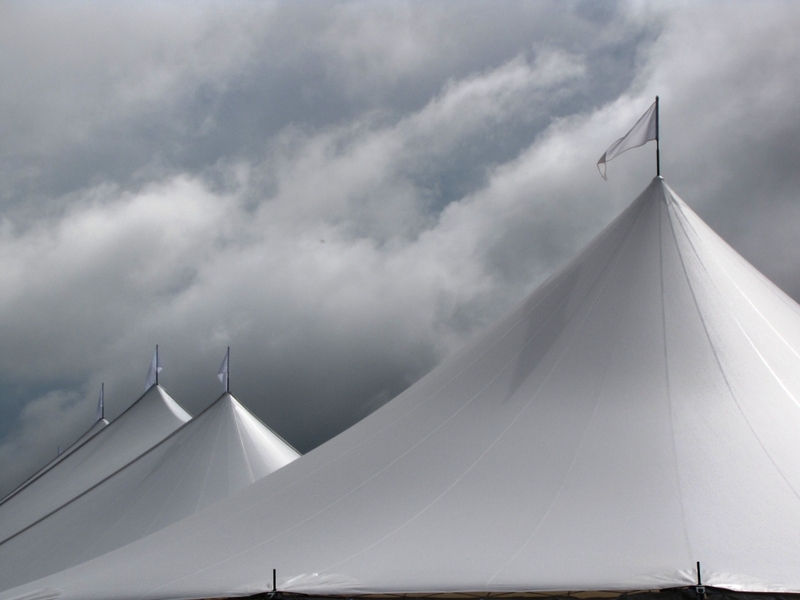 The newest style of Pole tents are the Tidewater, or sailcloth, tents. 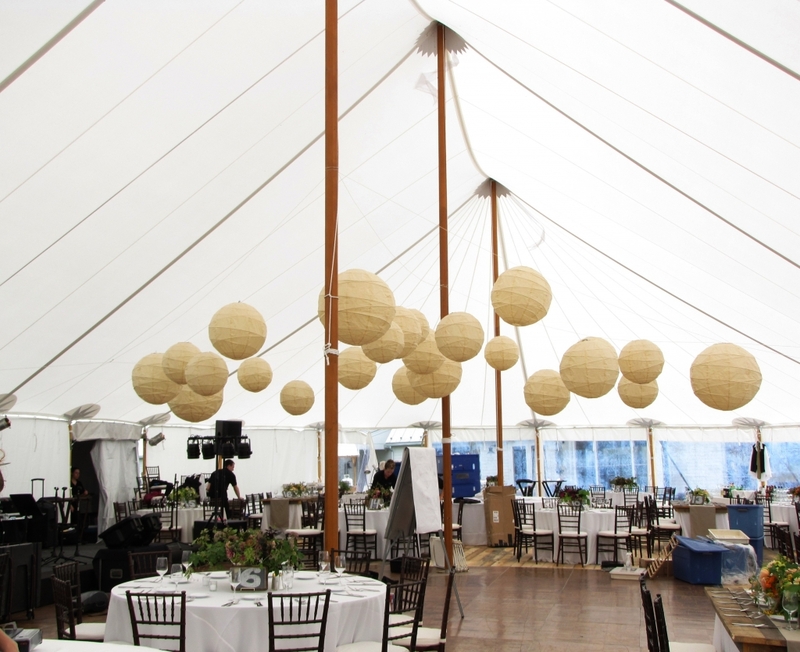 Frame tents, more modern than Pole tents, can be installed on hard surfaces using weights rather than stakes, and they are an excellent choice for ceremonies as there are no tent poles under the tent top. The strongest tent that you can rent is a fancy type of frame tent, called a Structure tent. What size tents do you offer? 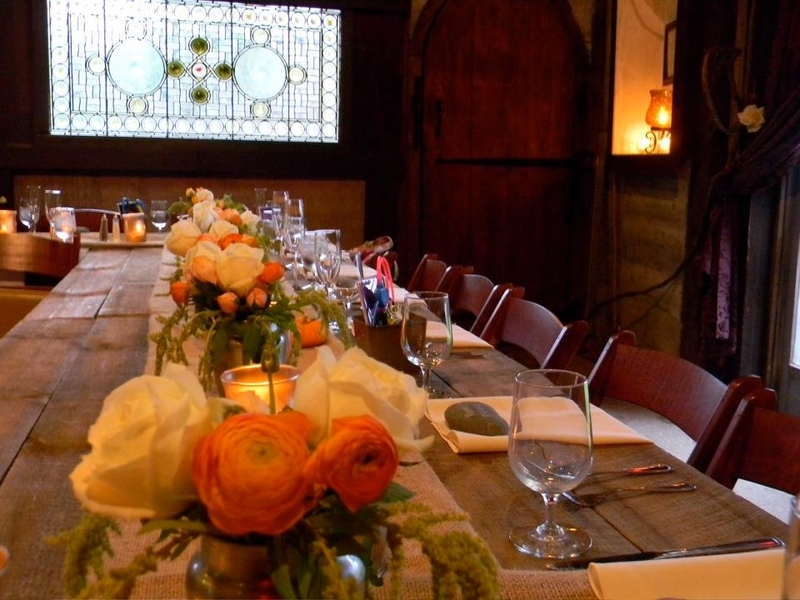 We have provided rental items for event as large as 2000, an as small as two. Universities and corporations have large scale events - graduations, employee parties, customer appreciation events, and galas. We also do a lot of work for non-profits, and Classical Tents is very committed to giving back to the community. We donate, in part of in full, to over 60 organizations each year. But once we reach a certain dollar amount on those donations each year, we have to pull back on donating. Who manages the permits for obtaining tents? Classical Tents works in hundreds of counties, and each county has a different policy for how they handle permits. Some counties are modern , and allow us to download their permits from their web site. Others make us go into the building inspector in person to pick up the permit. In one local town there are 4 steps to pulling a permit. In another local town, there are 13 steps to follow to pull a permit! This makes no sense to me for two reasons: 1) tents are stronger than they have ever been, and most often are engineered, and 2) many of the most difficult towns for permitting are the towns that are most vocal about wanting more tourists/visits/events in their town. If you make the permitting too big of a nightmare, you drive business away. For events taking place more than 45 minutes from our warehouse, the customer must pull the permit, but we assist by faxing or emailing necessary paperwork. How far in advance should one book their wedding with you? 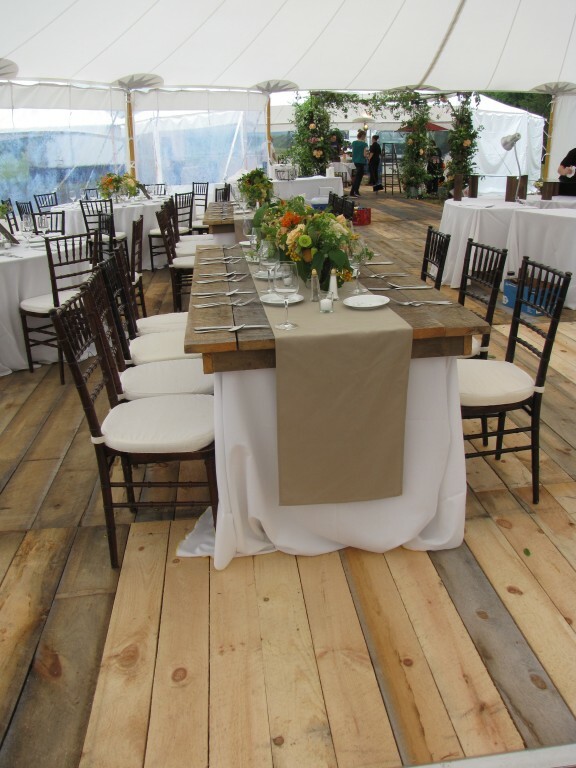 If you want items that we have less of - Tidewater tents, Farm Top Tables, Lounge furniture, Vintage china - you should book your wedding 1 year in advance, or more! If you want standard items for June or September, booking 1 year to 9 months prior is a good idea. For other months, booking 6 months or more in advance is a good idea. Speciality lights is another offering that should be booked well in advance. How can couples enhance their tent space more beautiful? Couples enhance their tents in a myriad of ways. The " do it your selfers" like to hang paper lanterns, make custom wood center pieces, arrange their own flowers, buy rolls of fabric from wholesalers to sew into table cloths, make their own favors, and more. Some make their own wooden bars and then use them in their house after the wedding! Recently, for an Italian themed reception, a catering company that also acts as event decorators hung pasta on dowels under a large outdoor umbrella in the tent. They brought in large pots of herbs and tomato plants, and used wrought iron stands with tiles to display the food. Draping fabric is quite popular in tent tops. We have new 12' iron staffs that we hang string bulb lights from. We can install them in the grass and drape the bulb lights from the staffs to side of a barn, to make an overhead gazebo of types, or a walkway. Metal lanterns are fun to hang over dance floors, or to line walkways with, or stone walls. Real linen table cloths, napkins, and runners are very popular as well. Lounge furniture is popular for relaxing after dinner as well. What are some other important things should we know about Classical Tents and Party Goods? 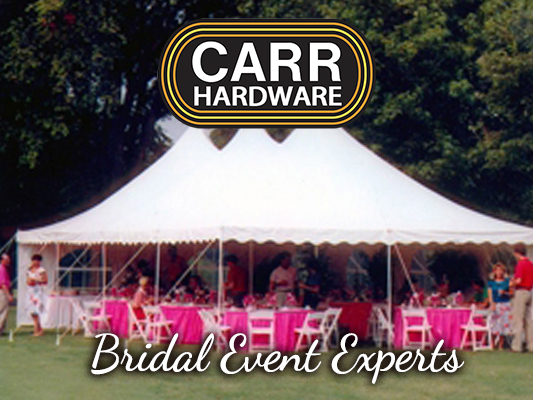 We care about our customers and their events. It is very important to the staff of Classical Tents that you receive the items that you ordered, on time, and in working condition. We believe that you need to be able to reach all weekend. We do not just drop off your rental order and disappear until the pickup. If you have an emergency, or an issue, we are here to support you. Every year we spend 10% of our gross revenue on new and replacement equipment. We follow the trends and work to meet customer demands with product. The American consumer is stylish and likes choices.